Dr. Linda Gedeon is a graduate of the National College of Natural Medicine (NCNM) and is a licensed Naturopathic Physician in the state of Oregon. As part of her clinical training at NCNM, Dr. Gedeon received special training in gynecology, endocrinology, cardiology and gastroenterology. Her area of expertise includes Women's Health with modalities consisting of botanical medicine, clinical nutrition, nutrigenomics, homeopathy, nutritional IV therapy and lifestyle counseling. Although her focus is in naturopathic modalities, she also incorporates conventional treatments when necessary as an integrative medical provider. Prior to her medical studies, Dr. Gedeon attended Florida State University and earned her Bachelor of Science degree in Exercise Science with an emphasis in pre-medicine, nutrition, physiology and biochemistry. Dr. Gedeon has an infinite passion for healing and is committed to improving the health of her patients. She is currently a member of the Oregon Association of Naturopathic Physicians. 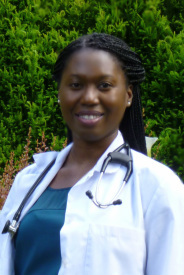 In her spare time, Dr. Gedeon enjoys reading, cooking and hiking. "It is my passion to empower you with the knowledge to obtain great health and vitality."